Please join us for our High Impact Tea discussing sustainable tourism, how the future of travel drives social good! More than a billion people travel to international destinations each year. While our love of travel grows, so must our responsibility to the societies we visit. Learn about how the $7 trillion-dollar travel industry is working to solve some of the world’s greatest challenges through sustainable, scalable innovations. 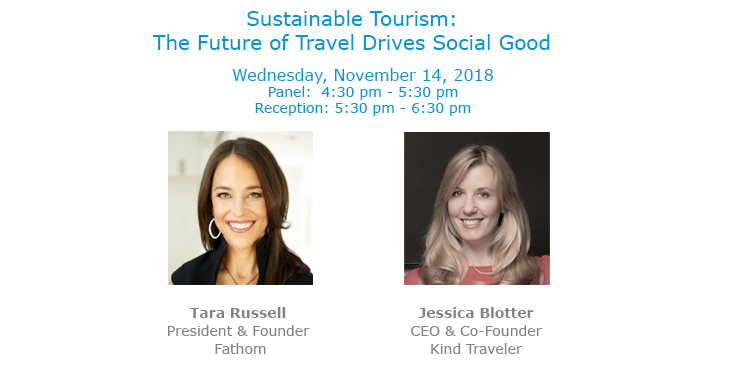 Hear from the founders of Fathom and Kind Traveler on how travel companies are working to create positive change for people and the planet.